ZIMUTO - Village heads under Headman Nemarundwi in Chief Zimuto’s area are defying the new headman Smart Chidavarume claiming he is illegitimate. Chidavarume was installed last year and the installation ceremony was reported to have taken place under military guard for fear of disturbances from those who were opposed to his ascendency. Masvingo District Administrator (DA) Ray Hove confirmed the wrangle and said he expected the issue to be handled by the chief. "The village heads have taken the former headman's side and are not listening to the new headman but these are simple matters that can be resolved by Chief Zimuto. He is the right person to handle such a dispute as all of them are his subjects. He convened a meeting and my office was invited but we had fuel challenges so it had to be postponed," said Hove. Sources said that whenever Chidavarume summons the village heads, they do not go but if they are summoned by the former headman, they would quickly go. "There is a problem in the area because most people do not listen to the new headman but they respect his predecessor who held the position on an acting basis after the death of his father. If the current headman summons them they do not go, but if the former headman does that, they quickly go," said the source. There are two families to the Nemarundwi headmanship namely Nhunzvi and Nduru. The headmanship is supposed to rotate between the two families but it is claimed the tradition was not followed when Chidavarume was appointed. Critics of Chidavarume say the headmanship was supposed to go to the Nduru house with the eldest member in the family taking over. Last year, Hove was quoted saying when the selection meeting was done in 2016 two names, Chidavarume and Magiya Kwenda's emerged. However, Magiya was overlooked as he is younger than Chidavarume. MBERENGWA - Police in Mberengwa are investigating a murder case in which a man allegedly used a knife to stab her step-daughter to death before fleeing his home. The grisly incident occurred in Maromo village under Chief Mataga. Midlands police spokesperson, Inspector Ethel Mukwende appealed to members of the public with information on the whereabouts of the accused to report to the nearest police station. “We appeal to members of the public who might have information on the whereabouts of the accused person to report to the nearest police station or make use of suggestion boxes,” Mukwende said. Sources said Aaron Moyo (44) came home in the night and found his wife Colleta Ncube (38) asleep. He ordered her to leave their bedroom and sleep in the other room where her daughter, the now deceased Tariro Shumba (22), was sleeping. It is alleged that Moyo, who was armed with a knife, then followed his wife and asked her to leave the homestead altogether. This led to an argument which forced Shumba to intervene on behalf of her mother, but Moyo picked up a log and hit her all over her body several times. The two women them managed to flee but the accused chased them, caught the daughter and stabbed her twice with a knife and fled. Ncube returned and found her daughter alive but bleeding profusely before dying moments later. The matter was reported to the police who attended the scene and took the body to Musume Mission Hospital. Conflict is a natural and necessary part of our lives. Whether at home with our families and friends or at work with our colleagues, conflict pervades our relationships. If your job involves dealing with people, either as a manager or an individual contributor, it is almost inevitable that you will experience interpersonal and inter-group conflict from time to time. Rather than suppress or ignore conflicts, it is to the advantage of the manager or individual member of the group to learn effective techniques to cope with or deal with conflicts. We should not expect complete success in resolving conflict. When personal or group animosities exist between the different parties, conflict is likely to arise again. The conflict management techniques may have to be repeated time and again. In extreme situations, the only practical solution may be to physically separate the two parties. The manager or leader should not try to eliminate all conflict among subordinates but should try to resolve or manage conflict that potentially has severe negative consequences. There is a famous Chinese saying which goes: A certain amount of opposition is of great help to a person. When kites arise, they do not go with the wind but against the wind. In this case, an optimum amount of conflict improves individual or organizational performance. Conflict is the energy created when individuals or groups of people pursue incompatible goals in an effort to meet their personal needs and interests. · Poor Communication which involves lack of information and misinformation, as well as differing views on what data is relevant, the interpretation of that data and how the assessment is performed. Martin Luther King Junior had this to say on communication: People hate each other because they do not communicate. They do not communicate because they are far apart. · Relationship conflict, which results from strong emotions, stereotypes, miscommunication and repetitive negative behaviour. It is this type of conflict which often provides fuel for disputes and can promote destructive conflict even when the conditions to resolve the other sources of conflict can be met. · Value conflict, which arises from ideological differences or differing standards on evolution of ideas or behaviours. The actual or perceived differences in values do not necessarily lead to conflict. It is only when values like religion, language and customs are imposed on groups or groups are prevented from upholding their value systems that conflict arises. · Differences in training and specialisation can also be sources of conflict. This happens when individuals or groups despise the type of training those other colleagues may have had. · Structural conflict, which is caused by unequal or unfair distribution of power and resources. Time constraints, destructive patterns of interaction and non-conducive geographical or environmental factors contribute to structural conflict. · Role conflict which is caused by an overlap in the allocation of responsibilities. In this case, members may clash on whose responsibilities a certain task is involved. · The responsibilities will be overlapping. · Personal variables and value systems like racism, tribalism, religion and regionalism can also be a source of conflict. · Interest conflict, which involves actual or perceived competition over interest such as resources. For examples, in Zimbabwe today, we find our indigenous mines fighting over mine claims. Some have even gone to the extent of fighting over land. · The way a dispute is resolved or perceptions of trust and fairness can also lead to conflict. 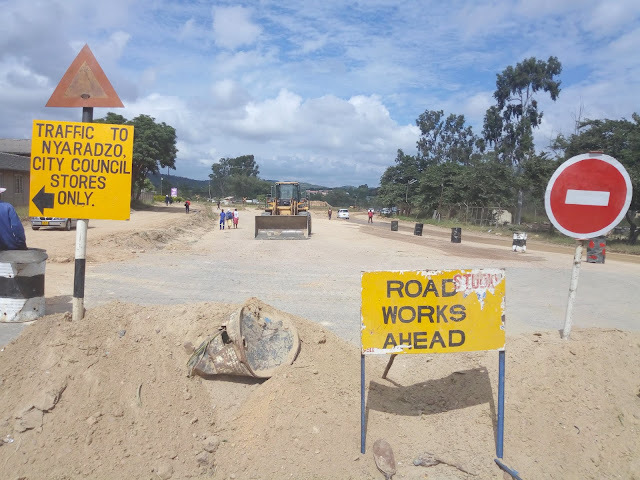 The Masvingo City Council has finally started the Nyaradzo Life Assurance Company’s US$43 000 road project which was paid for way back in 2016. Council sat on the project for all these years only to take action now that residents are talking about it. 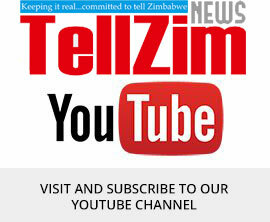 TellZim News recently exposed council management for taking money without the knowledge of policy makers and then failing to do the work, a development that bears all the signs of corruption. Nyaradzo had proposed to tar the 200 metres road stretch from Bradburn Street to their offices in exchange for a piece of land which houses the city’s fire department but the move was shot down by the former mayor Hubert Fidze-led council. A new deal was cut by management and a payment was made but the job has not been done with the engineer citing rains as the biggest impediment into kick starting the project. Town Clerk Adolf Gusha had promised that the project will start soon and work on the ground shows that they are racing against time to cover up their own tracks. 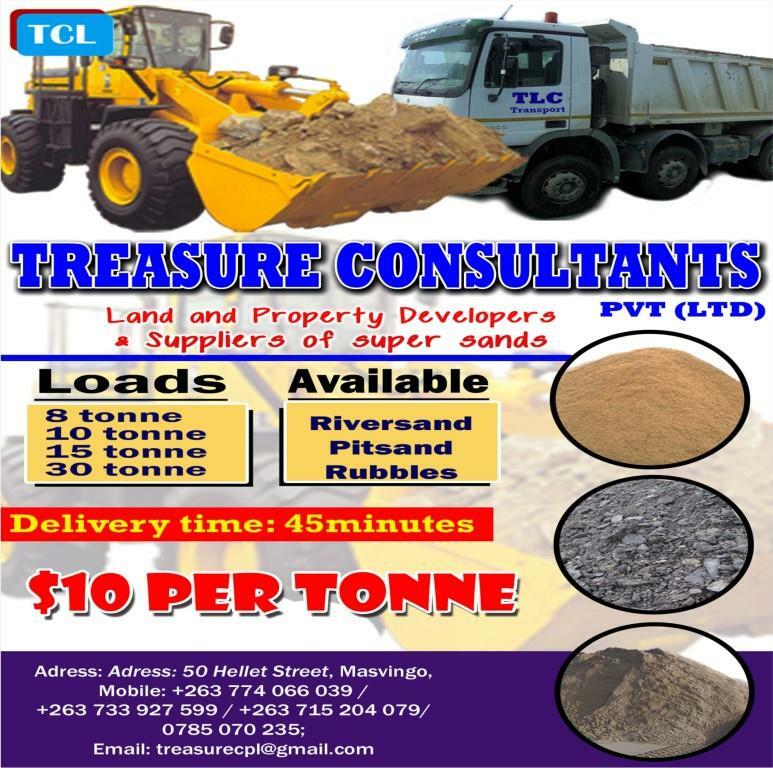 City engineer Tawanda Gozo told TellZim News that the project was already underway but could not give a time frame on when it could be completed. “I am not in the office this week to give you a full progress report on the project but I can tell you that it has started. We will work as fast as we can so that we complete in time,” said Gozo. The motoring public have for long cried to the city fathers to tar the whole Chimusana Road and construct a proper bridge which will decongest the main Mucheke Bridge but the plea has fallen on deaf ears. Now the city fathers pin hopes on the dualisation of the Harare- Beitbridge road to ease congestion saying the council will not have money to upgrade the road in the foreseeable future. City of Masvingo has warned residents of Runyararo West and Victoria Ranch that they will have to keep on enduring the buzzing flies invading their homes as there are no signs that an alternative piece of land on which to relocate the dumpsite will be found any time soon. Responding to questions from TellZim News this week, City of Masvingo acting director in the Department of Environmental Health, Ngonidzashe Mapamula said council could not do anything until government made the alternative land available. “We are waiting for the government to allocate the land for a new dumpsite. There is nothing we can do for now except maintaining what we have in the best possible condition,” he said. He said council will bring in a dozer onto the dumpsite to help with compressing the garbage and preventing the scattering of refuse beyond the stipulated space. Meanwhile, the residents living in the vicinity of the problematic dumpsite have said they will not stop complaining until authorities moved with speed to solve the health hazard. “We live in a bad area where our houses are invaded by swarms of flies and strong bad smells every day. It’s been five years and counting since promises were made that the dumpsite will be removed. We are being taken for granted,” said Regis Masunda of Runyararo West. Vendors at Chitima market are living in fear of cholera and other diseases due to the filthy toilets that often get blocked without remedial action being taken. Traders at the market claim Masvingo City Council has not cleaned the toilets at Chitima market for several weeks and blockages have not been attended to. People who are being affected the most are those who sell fruits and vegetables as well as those who prepare meals. Sarah Muziyoni, who has been doing business at the market for many years, said customers were shunning the place due to extremely bad odours. “Most affected is the food section. People are thinking twice before coming here to buy meals, fruits and vegetable. This is very bad for us and we feel council has neglected its responsibilities. The informal traders also fear for their health and the safety of their minor children who do not know how to practice absolute caution in a dirty environment. A customer who used to buy lunch at the market said she had since stopped due to the increase of flies and uncleanliness. Other traders said they were contemplating taking their demands to council in a forceful manner most probably trough a demonstration against the environmental health services department. 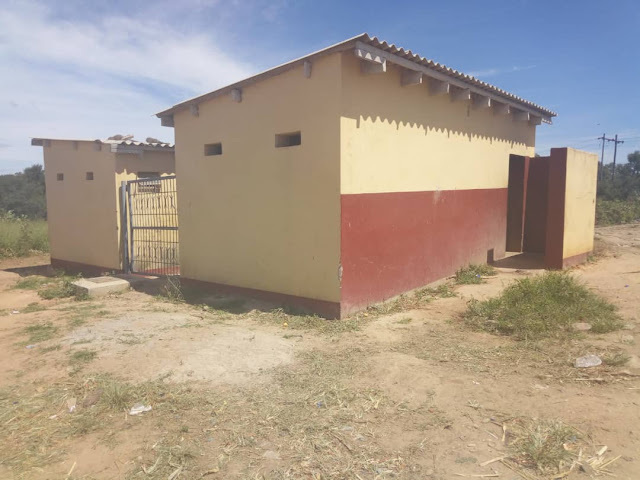 Acting director in the department, Ngonidzase Mapamula, however, disputed that the toilets were not being cleaned, saying there were employees dedicated to that job alone. “The toilets are being cleaned every day. We have permanent cleaners who stay at Chitima. There was just a blockage which was attended to last week,” said Mapamula. Housing and Community Services director, Livison Nzvura said council was doing its best to keep the market clean despite that many of the traders were not paying anything to council. “Council is not getting anything much from that market because people are not paying, yet we are still doing our best to keep the place clean. We encourage people to quickly notify us if there if they face such kind of challenges in the future,” said Nzura. CHIREDZI – People living to the south of the mighty Runde River say they find it odd that there seems to be a swift government response to the damage wrought on infrastructure by Cyclone Idai when their areas still suffers effects of Cyclone Eline. Cyclone Eline pounded much of the country in 2000, with Chiredzi suffering from collapsed houses and destroyed infrastructure. One significant piece of infrastructure that was destroyed is Chipinda Bridge which straddled Runde River and acted as the safest crossing point for people travelling from Chiredzi South to Chiredzi North and West. The bridge has remained neglected despite numerous pre-election promises by politicians that it will be repaired. 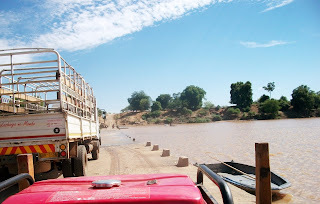 The false promises have meant more difficulties crossing the river especially during the rainy season when the alternative Chilonga Bridge, which is very narrow and low-lying, gets easily flooded. Villagers always use makeshift boats to cross the flooded river every rainy season, and many people have been swept away in the process. An old resident of Chilonga said he felt government was not allocating the country’s resources fairly as his area remains neglected 19 years after Cyclone Eline. “We heard that they have set aside $50 million dollars in reconstruction and aid relief for victims of Cyclone Idai especially those in Chimanimani and Chipinge where the floods were severest. But we too are survivors of floods that happened 19 years ago. We did not receive any compensation, counseling or any support to rebuild our lives. “We know the current floods have been said to be more serious than those we experienced back then but we honestly feel we are also owed support. 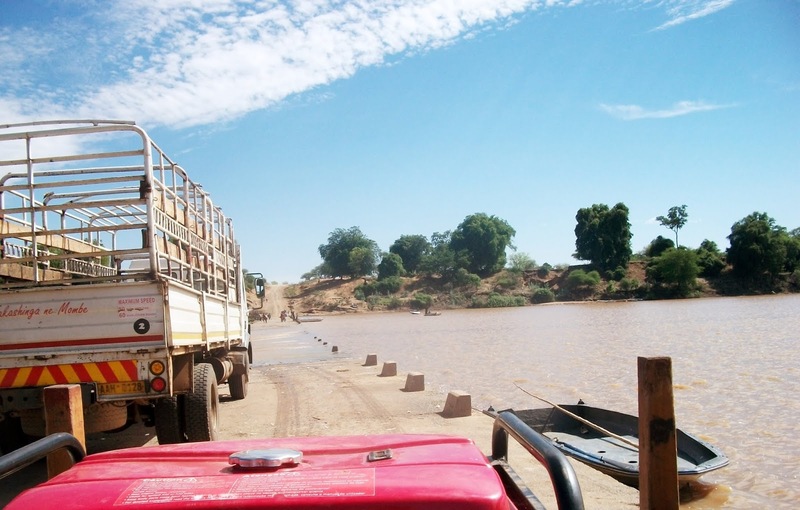 Chipinda Bridge remains unrepaired and Chilonga Bridge has not been upgraded. Every year our people die trying to cross the flooded river,” said the senior citizen. 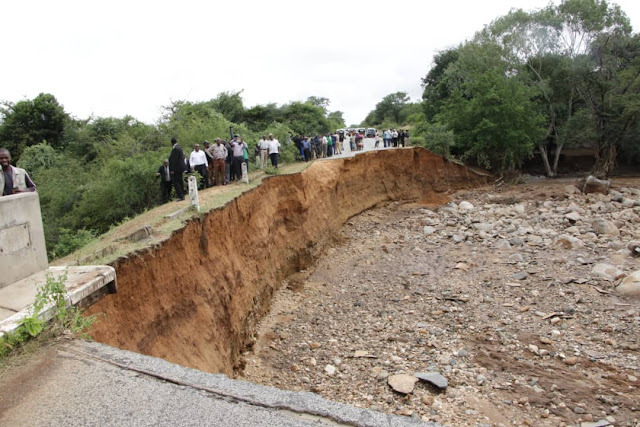 When Cyclone Idai began on Saturday last week, a Chiwara bus which plies the rugged road between Chiredzi town and Chiwara, slid backwards into the river while trying to negotiate the steep, muddy slope that immediately succeeds the low-lying Chilonga Bridge. Many people said there were no fatalities and serious casualties from the accident simply because the river did not have much water. In the neighbouring Zaka and Bikita districts, more than 100 houses were destroyed, with many people now in need of alternative shelter and food aid. 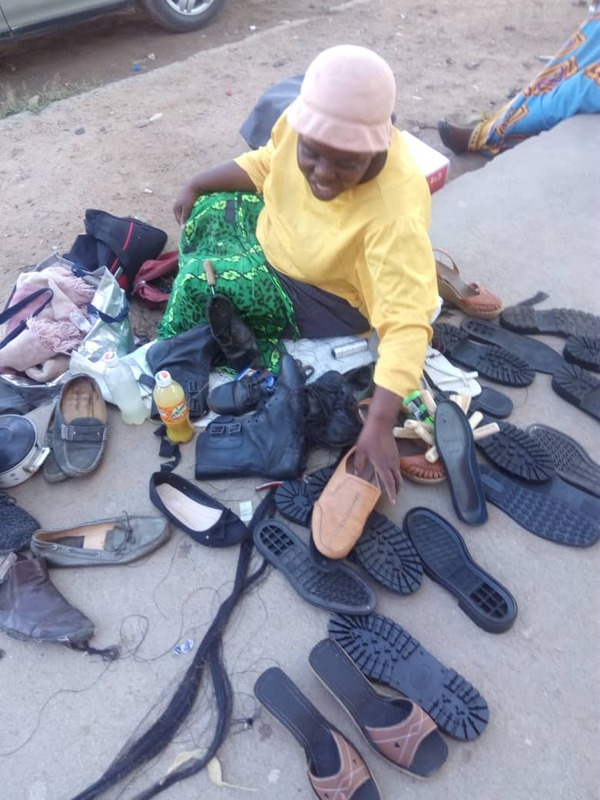 ZVISHAVANE – An enterprising local woman has warmed the hearts of many residents through her remarkable shoemaking prowess, doing brisk business in a sector which is known to be predominantly male. 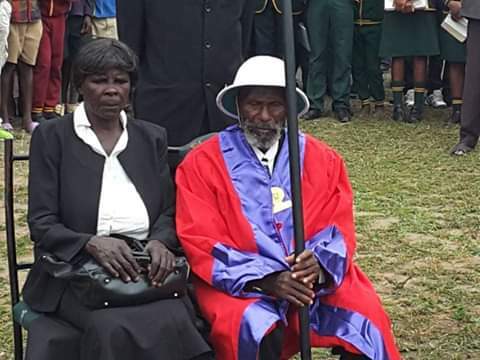 Vitalis Nyoni (49) of Wedza village under chief Wedza is proving to be a rare example of women demystifying society’s perception of gender roles that often lead to the privileging of men at the expense of women. Nyoni conducts her business on the pavement outside Edgars where she gets up to a dozen customers per day. 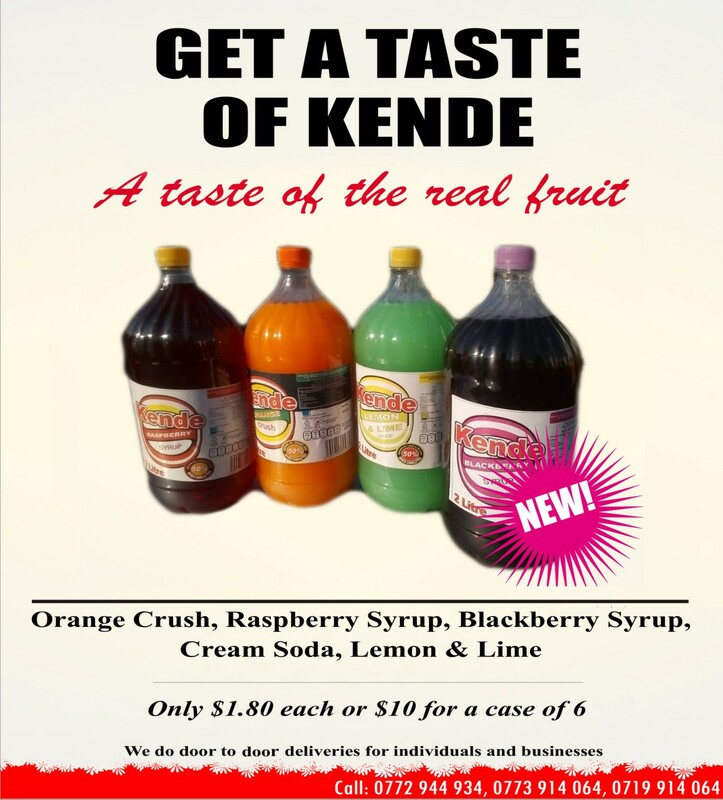 “I get a good number of customer every day, most of them being students from the local campus of the Midlands State University. I also receive good reviews of my work from customers who are satisfied by the quality of work I do. “A customer once came to me on a Monday saying he had missed a church service the previous day as his shoes needed some serious repair work. He said he found it better to wait for me to get back to work than go to other cobblers as he did not have as much trust in their workmanship as he had in mine. It was a humbling compliment,” said Nyoni. She said she started mending shoes in 2013 after experiencing serious economic difficulties as the country experienced a drought and as the economy nosedived after elections of that year. “It was in 2013 that hunger pushed me into streets. I started walking from door to door selling my services for basics. As if my troubles were not enough, my husband fell into an open pit and he lost his sight that very same year. That is when I started to take this trade, which has since become my only livelihood, quite seriously,” she said. With the little she gets from repairing shoes, Nyoni says she is sending her five children to school. “All of my five children are in secondary school with the oldest now in form six. I pay their fees using the money I earn doing this job. I shudder to imagine the kind of life I would be leading had I not learnt and mastered this trade,” Nyoni said. When asked about what women could do to challenge patriarchy in all spheres of life, Nyoni said it has to begin at local level and in humble circles. “We can begin small and grow with time. It begins with doing these very small jobs that even men themselves might not be too proud of doing. Once women establish themselves in these small jobs and challenge the dominance of men, we can then explore bigger things. “It’s better to have many women doing small jobs than to have only one or two female leaders or successful business people being taken as a sign that women are progressing,” Nyoni said. She said in many cases, those successful female leaders and business people would be an end unto themselves, having male assistants and business partners. MWENEZI - Elliot Jawanda, who was appointed the new substantive Chief Mawarire at the end of last year, had his installation ceremony finally held on March 15 after the occasion was postponed more than twice last year. The installation ceremony was held at Mawarire Primary School, Ward 4, under Chief Mawarire. In attendance was the Minister of State for Masvingo Provincial Affairs, Ezra Chadzamira, National Council of Chiefs president Chief Fortune Charumbira, legislators, trational leaders and government employees. Jawanda took over the chieftainship from Amon Vengo who has been acting chief since the death of his father who was then substantive chief until his death. Speaking to TellZim News during the appointment of Jawanda as acting chief, the District Administrator (DA) Rosemary Chingwe said there were four families with a stake in the Mawarire chieftainship. She said unlike in many cases elsewhere, there was consensus on the new chief and the families had avoided leadership wrangles. 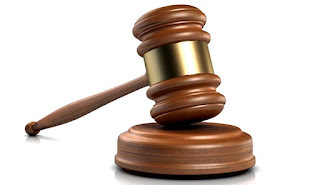 A married visually-impaired man from Mucheke recently appeared before Masvingo magistrate Dambudzo Malunga for sodomising a 16-year-old boy and was given a 13-year jail sentence for the dastardly act. Edson Chivi (41) told the court that he sodomised the boy by mistake thinking that the boy was his wife. “I am guilty. I did it by mistake thinking that the boy was my wife. I fondled the legs and thought it was my wife who had changed side. The boy did not resist or complain and he did not even cry,” Chivi pleaded. Two of his 13-year jail sentence were suspended on condition he did not commit a similar offence over the next five years. It was the State’s case that on February 10 at around 22:00hrs, the accused person was sleeping with his wife Elisina Ndou, who is also blind, in their shack at Mucheke bus terminus. The accused invited the complainant to come and sleep in the same shack and they both agreed. While the complaint slept, Chivi sodomised him without his consent and this happened in the full view of another juvenile who tried in vain to wake him up. The court heard that the complainant only woke up after the accused had finished. CHIREDZI - Masvingo provincial roads engineer, Peter Mukome has revealed that it is not possible to do upgrades on the ramshackle Chilonga Bridge across Runde River, saying the RTGS$18 million allocated to the project last year falls short of what is required. 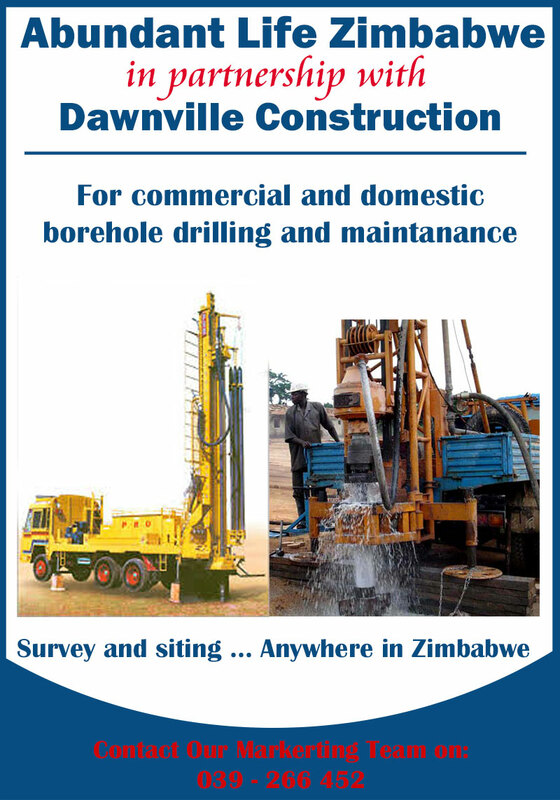 Mukome told TellZim News on the sidelines of a stakeholders meeting at Chitsanga Hall last week that the project needed at least US$20 million just for the importation of materials needed to do the work. 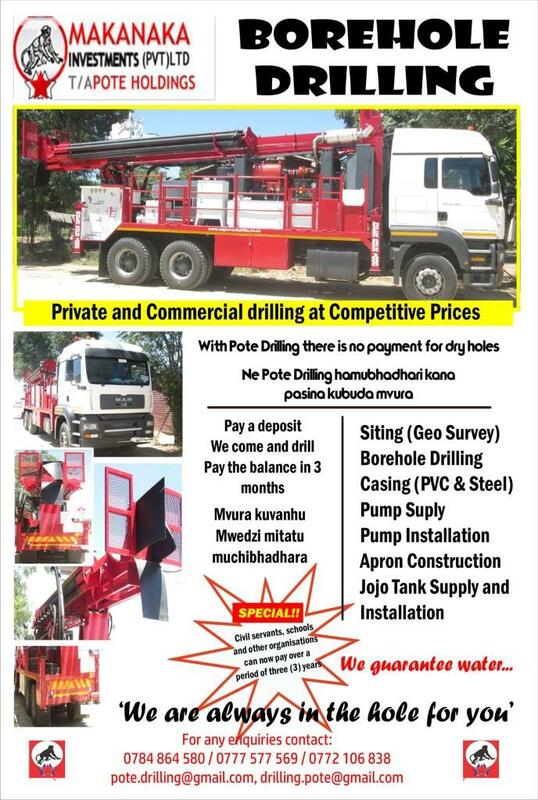 “We got some RTGS$18 million last year but construction was delayed by the economic shocks of October last year when inflation took a sudden turn for the worse. That means the money allocated lost significant value. “Looking at the engineering designs of the piling foundation, the materials of which are not found locally, we need at least US$20 million in real foreign currency. "The RTGS$18 million was only meant for the construction of substructure of the bridge but taking into cognisance macro-economic shocks; inflation, price increases and fuel shortages, the contract price of the project was negatively affected,” Mukombe said. He said his department had identified a new site that would allow for the construction of a new bridge altogether at less cost. 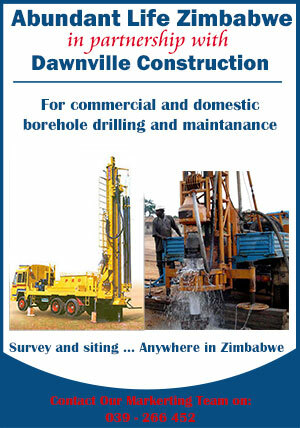 “We have chosen a new site which has firm rock that allows use of mass concrete by local engineers. In that vein, we are focusing on the designs as well as the tendering process which is in progress,” said Mukombe. On average, five people die every good rainy season trying to cross the flooded Runde River in makeshift boats or in motor vehicles. Cultural Heritage allows us to have a feel of the past through its tangible and intangible aspects. As a matter of fact, this generation is undoubtedly benefiting from cultural heritage hence the necessity to actively participate in the veneration and perpetuation of cultural heritage. The very first stage of involvement is the ability to identify and define what defines us, thus our tangible and intangible heritage. As the word tangible suggests, these are physical things that we can touch and they entail artifacts produced, maintained and transmitted over generations. Such include bows, arrows, drums like the famous and controversial Ngomalungundu (subject for another day). Tangible heritage includes artistic creations, built heritage such as buildings and monuments, and other physical or tangible products of human creativity that have cultural significance. There are approximately 200 recorded monuments in the country which the National Museums and Monuments of Zimbabwe (NMMZ) has worked tirelessly to preserve and conserve. 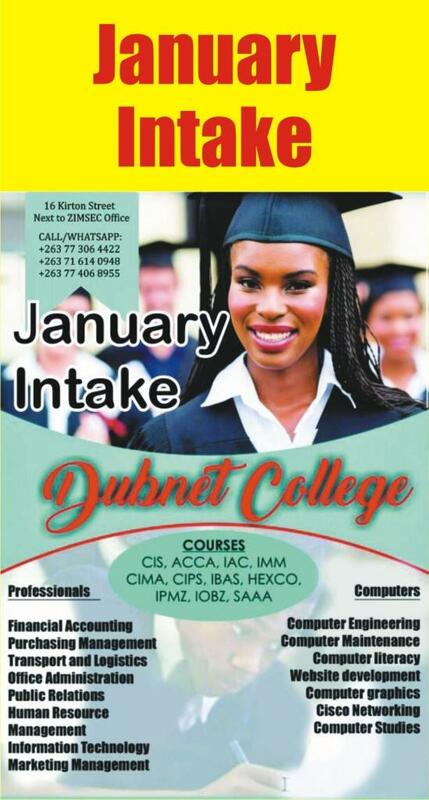 Among them are Khami Ruins, located 15 miles from the Bulawayo, Bumbusi National Monument in Hwange National Park, Ziwa National Monument in Nyanga National Park, Great Zimbabwe and the neighbouring Mujejeje Ruins in Masvingo, the National Heroes Acre in Harare, Matobo Rock Art, Naletale National Monument, Dhlodhlo Ruins, Tsindi Ruins, Chamavara Rock Paintings and Insunkamini Ruins in Gweru. It is important to note at this juncture that tangible aspects of heritage encompass natural features which are worthy conserving and preserving for generations that will come after us, The National Parks and Wildlife Management Authority of Zimbabwe (Zimparks) has a statutory mandate to preserve that form of heritage. In Zimbabwe natural heritage includes Mosi oa Tunya, Popoteke Gorge in Masvingo, Inyangani and Chimaninani mountains, Chinhoyi Caves, the many national parks as well as the flora and fauna therein. According to United Nations Educational, Scientific, Cultural Organisation (Unesco), intangible cultural heritage is a practice, representation, expression, knowledge, or skill, as well as beliefs essential to a particular group of people and worth passing inter-generationally. Intangible heritage entails oral tradition which includes language, songs, folktales, performing arts like music, dance, rituals, festive events, rites of passage, knowledge and practices concerning nature and universe. Intangible heritage also includes traditional medicine, traditional architecture, traditional craftsmanship, knowledge and skills of pottery-making, carpentry, blacksmithing, jewelery-making and musical instrument-making. Controversial as it is, both cultural and natural tangible heritage have custodians, but the million dollar question is who guards intangible heritage? In the midst of religious chaos and the dilemmas faced by the supposed custodians of intangible heritage who are torn between following present day wealth-promising religious doctrines and cultural values, intangible heritage faces possible extinction. The sun is almost setting on most of the elders who are well-acquainted with the information on how to safeguard the endangered heritage aspect in question. The upcoming generation should consider utilizing the elders. One wise man once said the richest place in the world is the graveyard, for there lies the intelligent, wise men, once famous and rich men, men and women who died and were buried with important knowledge and skills. The possibility is that in decades to come, our intangible cultural heritage will be regarded as faded glory, a once lively culture, extinct and beyond resuscitation. All the same, there are various remedies and strategies which can be employed to conserve and preserve intangible heritage.